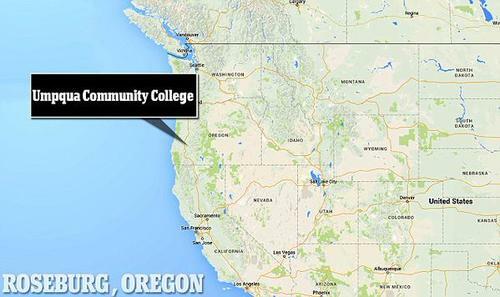 Live coverage of Oregon community college shooting. 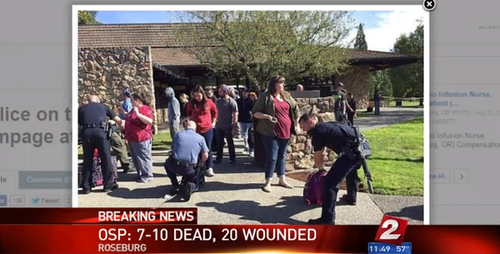 (Reuters) - A gunman who opened fire on Thursday at a community college in Roseburg, Oregon, was a male and was killed during an exchange of gunfire with police, Douglas County Sheriff John Hanlin told a news conference. Hanlin did not identify the shooter. He added that no law enforcement officers were wounded. It was too early in the investigation to say if anyone else was involved in the shooting at Umpqua Community College, Hanlin said. He declined to confirm the number of dead and wounded in the shooting. Oct 1 (Reuters) - Oregon Governor Kate Brown said on Thursday the shooter at Umpqua Community College was a 20-year-old male who was now dead. "We have confirmation that the shooter is deceased. He is a 20-year-old male," Governor Kate Brown told media in a short statement in Portland, Oregon, before departing for Roseburg, where the college is located. Oregon police say priority now to make sure scene is secure and there are no additional threats. 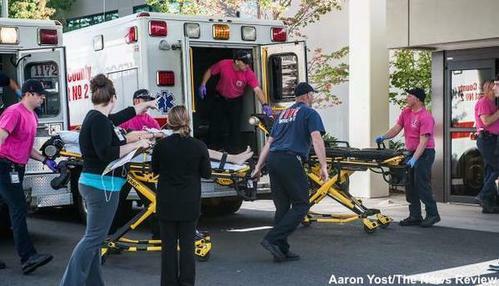 Oregon sheriff says officers exchanged gun fire with college shooter. Gordon said she doesn’t know how the student who was shot is doing. Reporting by Reuters correspondent Eric Beech. 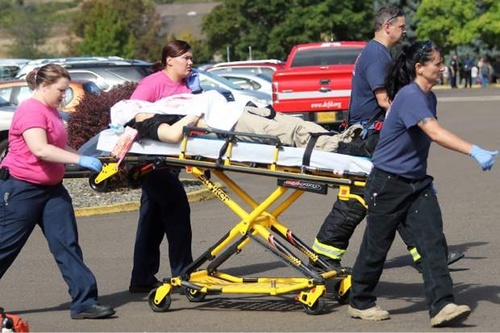 WASHINGTON (Reuters) - The gunman who opened fire at a community college in Oregon on Thursday, killing several students, has been killed, Portland's NBC affiliate reported, citing the state's attorney general. 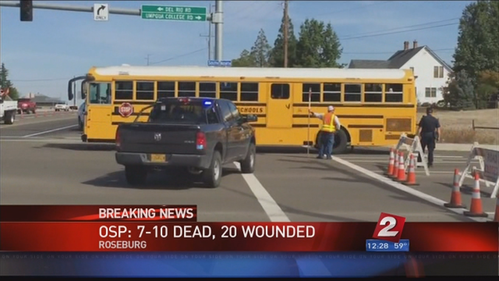 Oregon Attorney General Ellen Rosenbaum said 13 people were dead and up to 20 others wounded, KGW-TV reported. WASHINGTON (Reuters) - President Barack Obama was briefed on the shooting at Umpqua Community College in Oregon on Thursday by Lisa Monaco, his homeland security adviser, a White House official said. "At the president's request, he will continue to receive updates throughout the day," the official said. This YouTube video is apparently the dispatch for emergency responders during the shooting. BREAKING: Oregon community college employee: "College students came in running... we went into lockdown." "You don't know how they feel until you're there." 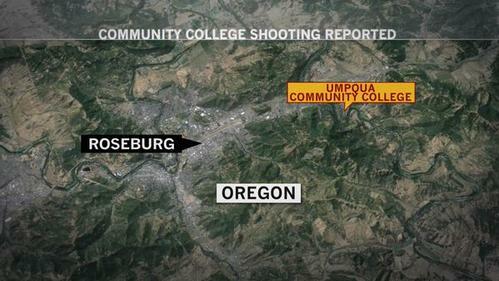 At about 10:38 AM, the 911 center received a report of a shooting at Umpqua Community College. Police units from multiple juristictions have responded. 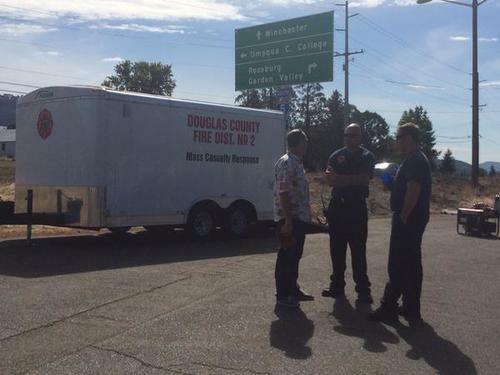 Multiple casualties from a shooting at Oregon's Umpqua Community College have been transported for treatment, the local fire agency that serves Douglas County said on Twitter.